How close am I to shopping centers? What schools are nearby and how close are they? Will this be easy to maintain? You and your tenant may ask more questions, but by focusing on the three listed above our borrower was able to find a great home that they purchased with our buy and hold loan program. This rental is less than 5 minutes from the Cambell Plaza shopping center, just down the street from a preschool, a charter school, and a highschool. Just by being in such close proximity to these schools adds plenty of value to a family. Even for a group of college students this home would be a great rental, as it is 6-8 minutes away from University of Arizona’s campus. Going into the third question, maintaining a property takes a lot of work depending on the size, the choice in landscape, and even how the tenants respect the property. Though you can’t always predict how your tenants will behave, you can decide on the size of home and the type of yard your property will have. 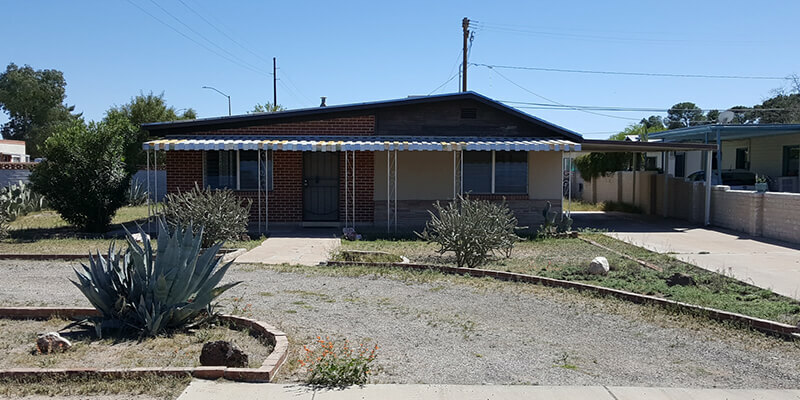 This Capital Fund 1 borrower saw the value in having a desert yard as opposed to a grass lawn. With a desert friendly yard you can save money because the plants don’t require as much water as grass does, and yard maintenance will not be needed as frequently. Planning on Purchasing a Rental Property? Capital Fund 1 has a team dedicated to serve you and get you financed fast, call 480.889.6100 today!